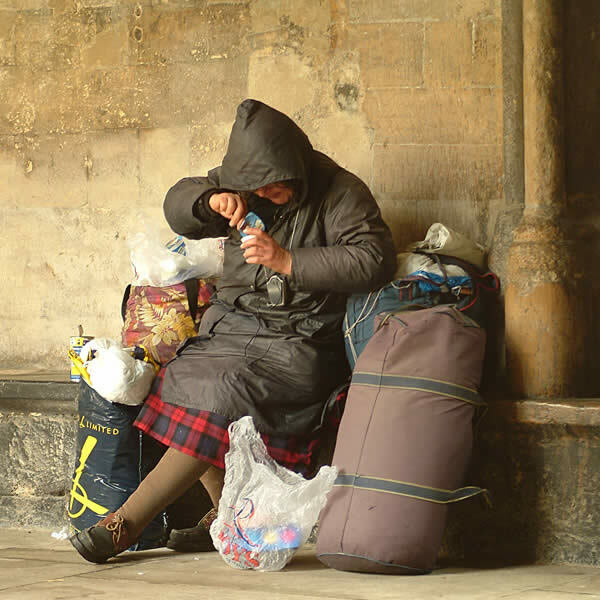 This week another part of the protection of the vulnerable is stripped away, as the government changes a clause in existing legislation to make squatting a criminal rather than a civil offence. The effect of this is to enable the wealthy to demand that the police undertake to remove squatters from their second or third homes at public expense, rather than them having to undertake civil action at their own risk. Squash, the squatters' support campaign have estimated the cost of squatting at £790m, money we will pay to defend the property interests of the wealthy. In spite of its urban and somewhat risqué image, squatting is a noble and ancient tradition. Originally it meant squatting on land, laying claim to the right to provide for your own subsistence, to which the building of accommodation was secondary. Much as the members of Brazil's MST do today, our ancestors challenged the feudal land system by occupying farmland and providing for their needs. It was the shift of the economy towards a labour market and industrial production that changed the focus of squatting towards merely the need for a home. The BBC quotes Housing Minister Grant Shapps as saying 'No longer will there be so-called 'squatters rights'. Instead, from next week, we're tipping the scales of justice back in favour of the homeowner and making the law crystal clear: entering a property with the intention of squatting will be a criminal offence.' This is a typical example of the divide-and-conquer tactics of the Tories, who ignore the fact that many of those who are homeless are in work, but are paid too poorly to afford the profiteering level of rents in many of our most expensive cities, and especially in London. The answer to the homelessness crisis is for government to intervene in what should never have been a housing market. As a society we consider that education and health are too important for the vagaries of the market to control their allocation and their price - why not with housing too? And Tory ideologues should read their history and recognise the tradition of squatting as much more akin to the empowered economic response at the individual level that they so vehemently espouse than they might feel comfortable with.